The year is 1992. A full decade after the fiasco of naval doctrine and procurement policy that was the Falklands War and the punishing and unnecessary losses that resulted, the Royal Navy has risen from the ashes to a form that, if not ideal, is at the least far more capable and survivable than the Royal Navy of the Falklands War. Three carrier hulls provide air cover using upgraded Sea Harriers with better radar and AMRAAM missiles. Eighteen Broadsword class frigates provide point defence missiles, anti-submarine and anti-surface capability, while the new Type 23 frigates will maintain that level of capability. The Type 42 air defence destroyers all have close-in weapons systems to deal with missiles. The Trafalgar class submarines are in commission stalking beneath the waves. With such a navy, the Falklands War would have been entirely one-sided. Skip to 2013. The carriers have followed their Harriers into the scrapyard. Their replacements are the size of fixed-wing carriers but designed for STOVOL operations. The new carriers are vastly overbudget, and will carry the least capable variant of the extremely expensive F-35. The new Type 45 destroyers lack any effective capability other than air defence. The Broadswords died young, and the Type 23s will have to soldier on for some time before their replacement comes along, a design based on a late 1970s concept of what a frigate should be. The submarine force is in a poor position, with the Trafalgars showing their age much sooner than their American 688 class counterparts, and the new, late and expensive Astute class showing serious design flaws. The Royal Navy is incapable of launching expeditionary operations against anything more than light opposition on its own hook, and even if promised capabilities materialise, the Royal Navy will still be hampered by its own doctrine and planning. The Royal Navy has made serious doctrinal errors by perpetuating old ideas in the wrong situation and in a changed climate. First, it has squandered the opportunity presented to acquire full-sized carriers by equipping them with V/STOL aircraft, something that was originally regarded as a temporary expedient when the idea was conceived. The mistake in my opinion goes back to the idea that the purpose of a carrier is to strike land targets and conduct ASW work, which was behind the brief retention of the GR. 7/9 Harrier force after the Sea Harrier had bit the dust. This is a doctrine only suited to conducting operations in small third world nations that can’t fight back. If you don’t have the tools for air superiority (and the F-35B is eminently unsuitable for this role), you don’t have the precondition to conduct any other kind of air operation. Second, the Royal Navy has perpetuated the obsolete doctrine of the separation of air defence and ASW ships, while leaving anti-surface and strike roles primarily to submarines. In an era in which frigates are expected to have at least some area air defence capability, they are planning frigates without this ability. In an era of a reduced submarine force and a global increase in SSM-armed ships, leaving serious anti-surface work for the submarines is a luxury the RN can no longer afford. Like it or not, this is an era in which every hull needs to be able to do a little of everything, and with reduced hull numbers, forming task forces to accommodate multiple roles is a luxury. It should have been realised in the planning stages that the Type 45 design was not providing value for money, either in terms of number of SAMs carried or in terms of capability for cost and hull size. 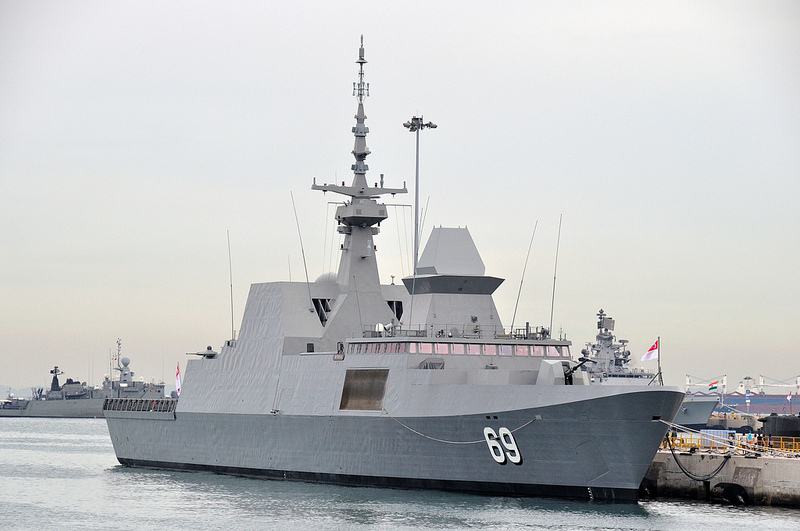 For purposes of illustration, consider an alternate pair of surface combatants, the KDX-III class of South Korea and the Formidable class, Singapore’s La Fayette derivative. The KDX-III class carries more than twice the Type 45s’ SAM load, plus sixteen anti-ship missiles, vertical-launch ASROC, cruise missiles, two anti-submarine helicopters and a formidable multi-layered close-in defence including ESSM, RAM and Goalkeeper. The KDX III is also not much more expensive per unit than the Type 45, despite only three of them being built. You could bring in all sorts of arguments to invalidate the comparison, but the bottom line is that the Royal Navy bought a one-trick pony while South Korea bought the most heavily armed ship to be built since the last Kirov-class battlecruiser was launched. 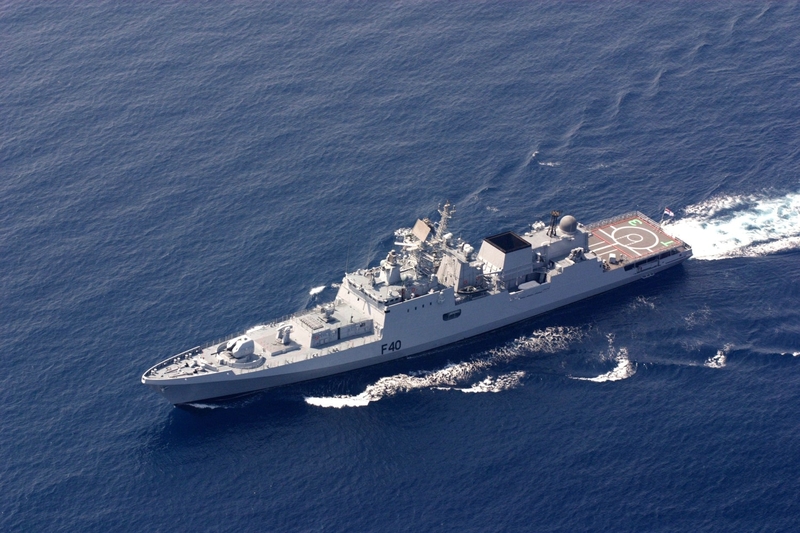 The Formidable class, meanwhile, includes a full range of capabilities expected of a modern frigate, including Aster missiles and Herakles radar for air defence in an economical and advanced platform. In other words, it can protect itself and other ships while operating in a hostile environment. Instead of something like this, the Royal Navy has essentially updated the Type 23 concept. The Royal Navy made a number of decisions in the nineties and oughts for which it is paying in the 2010s. One was HMS Ocean, a perfectly superfluous helicopter ship built in response to a particular one-time capability gap. This and other indulgences in the amphibious role took up resources that should have been paid forward in maintaining basic capabilities in other areas. Capabilities planned and funded in this era fell quickly to budget cuts. Other poor decisions included abandoning the Horizon frigate project with Italy and France in favour of the Type 45, whose only significant differences are the radar fit and the combat system- and the lack of meaningful secondary armament. In general, the Royal Navy has been very poor at leveraging partnerships with European nations. All that aside, budget cuts have seen the Royal Navy unable to stand by a coherent vision of which core capabilities need protection- the loss of the Sea Harrier was first example. The very fact that Broadswords and Type 23s, multirole ships capable of independent operations in threat environments, were decommissioned while any Type 42s were still in commission shows a badly disjointed sense of reality. The failure to retain even one carrier or air wing, and then dumping the decommissioned carriers and aircraft on the market without the slightest planning or any coherent attempt to make other carrier-using nations an offer they couldn’t refuse. This is the worst mistake, and the one that’s killing the British armed forces more than any other. For political reasons, the majority of British hardware has to be developed and built in Britain. I’ve written before about the vast cost overruns this causes in terms of specialist projects like submarine construction that come with decade-long hiatus between orders. Rather than arm their frigates with the existing Enhanced Sea Sparrow Missile and equip them with Smart-S or Herakles radar for next to nothing, the Royal Navy has instead funded its own ESSM equivalent and Smart-S equivalent. Rather than buying into a proven frigate design, they’re doing it themselves. Rather than buying into a European destroyer design, they made one themselves. The pathetic thing about this dogged and expensive insistence on buying British is that they still harbour hope of offsetting their costs through export orders. Not a single country has bought or is likely to buy the PAAMS system. Few countries would consider the Type 26 in a crowded market if they could get a more capable ship for a comparable price. Above all, the doctrinal logic of the Royal Navy is so disjointed from the rest of the market that it is almost impossible to formulate a coherent marketing position for any of this material. The net result is a navy that’s far too expensive. As the British armed forces rapidly shed the impressive capabilities gained over the past three decades, we can tally up the losses. Britain no longer has a meaningful armoured force, an air force capable of large-scale autonomous combat operations, or a navy capable of real expeditionary warfare. It probably didn’t have to be this way. For a brief moment back in the eighties and nineties, it looked as though the Royal Navy had turned a corner, not on tight budgets, but on the constraints of mentality that have dogged its fighting ability since the end of World War I. At this point, it would take a truly visionary leader to turn the Royal Navy back into a real middle power navy, in the bracket of the large navies now being built in Asia. Improving the budgetary situation would not be enough. There must be a change of mindset. For related materials, see Mark Collins’ post on the shrinking Royal Navy surface fleet here. 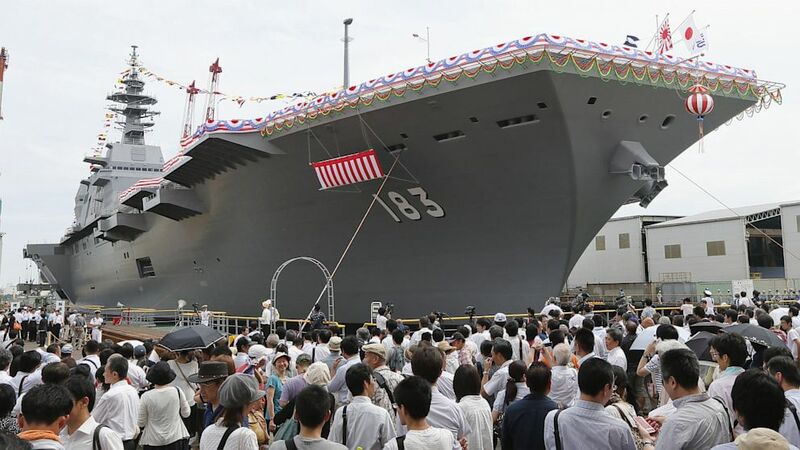 Japan has formally unveiled its newest helicopter carrier Izumo (Japan uses the old DDH helicopter destroyer designation, because everything is a destroyer in Japan). With an announced complement of 14 helicopters, it is a formidable patrol and anti-submarine warfare asset. At 248 metres in length, it is comparable in size to the old American Essex class carriers (or the current American Wasp-class assault ships). Its predecessor in production, Hyuga, was smaller at 197 metres, closer to the size of V/STOL carriers, though of course neither class has any fixed-wing armament planned- yet. 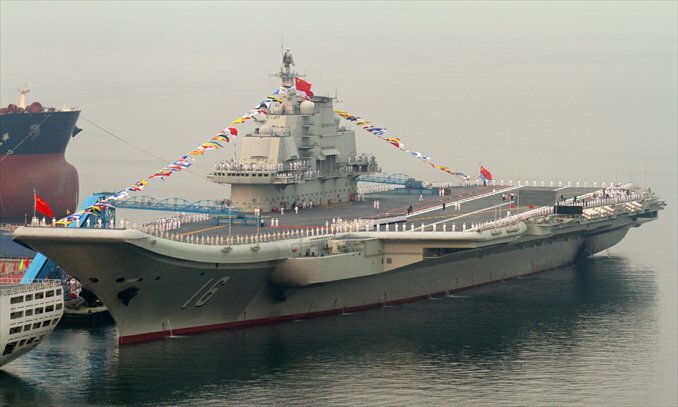 Given China’s carrier program, which includes one fixed-wing carrier in commission and others building, it is tempting to see Hyuga and Izumo as a direct response. However, it is a decidedly confusing one. 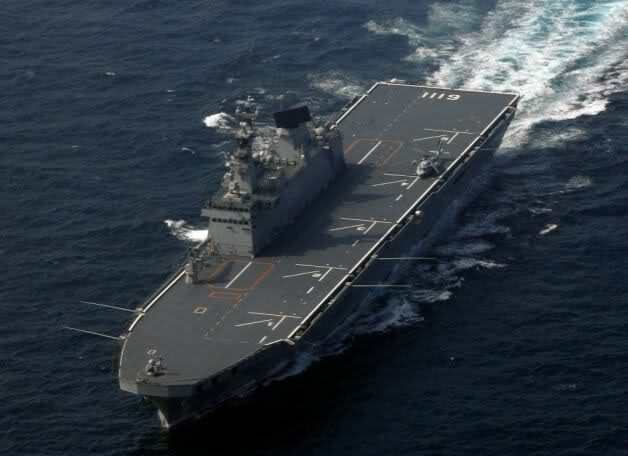 On the one hand, Japan has just demonstrated proof of concept that it can build carriers of any size in very short order, which should come as no surprise, and with help from the United States, there is little doubt that they could be converted for fixed-wing operations. On the other hand, the ships’ current ASW mission is valid given the advancement of China’s submarine fleet, though Izumo is rather large for the role. The other issue is why Japan would bother with this kind of subtlety rather than simply commission these hulls as fixed-wing carriers. And that leads us to the basic confusion of Japan’s defence policy, predicated on self-defence, facing economic recession and reluctance to remove traditional budgetary constraints on the one hand, and on the other facing a less than friendly neighbour with a growing military and an historical animus toward Japan deeply embedded in popular nationalism. The current Japanese government has been branded militarist by China and South Korea for comments in the most recent defence white paper, and yet in concrete terms has made no procurement plans that would allow Japan to keep its edge at sea and in the air, as against China’s increasingly ambitious procurements. Izumo looks impressive, but without addressing the widening gaps in numbers of modern surface combatants and aircraft, it is a very big nil. China is effectively scuppering ASEAN’s latest attempt to unite in the face of Chinese bullishness in ongoing island-chain disputes. China has essentially told ASEAN to forget any agreement on a code of conduct in such disputes anytime soon. China has a policy of discouraging any attempt at multilateral negotiation on such issues, or heaven forbid, international arbitration. Ruan Zongze, Chinese diplomat and senior fellow at the China Institute of International Studies, has warned that Japan and the Philippines are making a serious mistake by allowing the United States to embolden them into challenging “the sovereignty and territorial integrity of China” by daring to lay claim to islands which China has unilaterally declared that it owns. “No one in this world will try to contain China and no one in this world is capable of containing China,” he said. Meanwhile, the Australian Strategic Policy Institute blogs about China’s maritime strategy challenges. While I don’t agree with all of their arguments (such as the contention that China could not assert control of the Taiwan Strait against US forces, or conversely the idea that the US would be quick to intervene against Chinese attempts to seize islands in the South China Sea by force, an odd argument considering that the US has already stood by while China did exactly that), the post does something important in emphasising the inherently tenuous nature of the Chinese maritime position. As I’ve argued previously, China is looking at an economic umbilical cord that runs from the oil fields of the Middle East and Africa, across the Indian Ocean and through the Malacca Strait, through which a great deal of China’s trade runs. 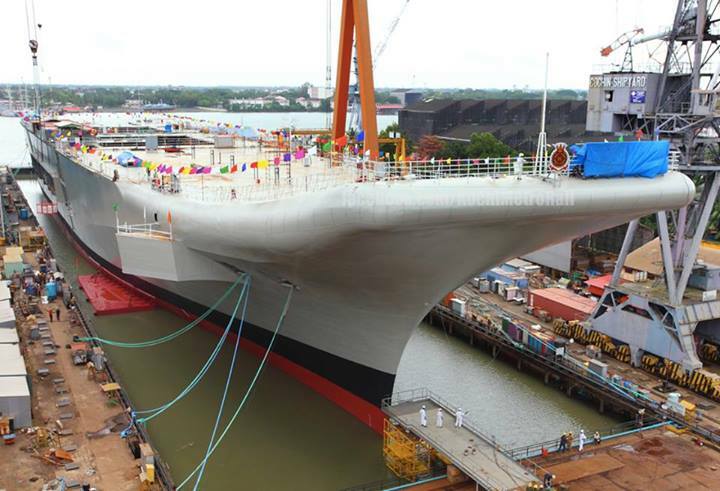 While China can try to ease its complete energy vulnerability (especially to India, whose mastery of the Indian Ocean China could not easily contest) by building trans-Asian pipelines, the fact remains that any major navy could cripple Chinese trade, and with it the Chinese economy, in a matter of weeks by sitting at one end of the Malacca Strait. To overcome this vulnerability, China would have to outmatch the United States, Japan and India combined. China can try to dominate the waters within the “First Island Chain”, but in the end, they are dependent on the good will of others, and there is nothing they can do about it. In it, General McMaster argues that the success of the 1991 Gulf War made the Pentagon so enamoured of the easy victories promised by high-technology warfare and the “Revolution in Military Affairs” that they went into Iraq and Afghanistan expecting gadgets and gizmos to confer victory. It is certainly true that US forces in those conflicts spent far too much time and money on technology when they should have been thinking about people and boots on the ground intelligence. That extra money made those wars some of the most expensive in history- which is a great embarrassment when the opposition consists of guys with AK-47s and RPGs. It is also true, as McMaster points out, that hubris led to poor planning when it came time to stabilise the newly-conquered nations. He mentions the role of US-allied warlords in destabilising Afghanistan to the point where the Taliban seemed preferable to many, as well as unaddressed minority grievances. One could also mention the politically-driven program of de-Baathification in Iraq, which put the armed forces and the trained civil administration out of a job, with predictable effects. However, then-Secretary Rumsfeld was the driving force in preventing a coherent reconstruction plan from being executed in both countries. At least in the case of Iraq, the Pentagon and the State Department could probably have stabilised the country had that obstruction been removed. McMaster highlights the human, political and historical aspects of war, which US forces often underappreciated. General McChrystal, former commander in Afghanistan, frequently highlights this one in his talks, pointing out that there was deep history, culture and psychology in Afghanistan that the Americans had difficulty understanding. “Wars like those in Afghanistan and Iraq cannot be waged remotely,” McMaster writes. On the other hand, I am not sure that General McMaster himself isn’t guilty of some of the muddle that often accompanies strategic thinking at the Pentagon. He speaks of the lessons of Iraq and Afghanistan, and many of the lessons he presents are quite important. However, the biggest lesson of those wars must and should be to avoid counterinsurgency situations to begin with. These were preventable insurgencies, and given that the immense human, material and political cost of these wars far outstrips anything the nebulous threat of terrorism could ever have inflicted on American soil, the strategic truth remains that America was a sucker for being drawn into those situations in the first place. At this point, the US military should be looking ahead to see what they have lost through their ten years of reorientation toward small wars. Air Land Battle, the doctrine that won the 1991 Gulf War, is gone, as is the training and force structure that supported it. Without a solid manoeuvre doctrine, the US Army will not be able to effectively wage conventional war without massive attrition. Many argue that the era of massed tank warfare is finished- but on what facts is this based? Massive tank fleets still exist. The only place where the tank has declined is in the West. Russia, China, Egypt, Israel, Saudi Arabia and many other countries retain substantial tank forces, and Russia and China remain keen on developing tank warfare technology. Given the right scenario, the US could find itself living 1991, or worse, all over again, but without its manoeuvre forces. Instead, the US military has attempted to apply manoeuvre warfare to the maritime arena, with the Air Sea Battle doctrine. Air-Sea battle, and its partner the Joint Operational Access Concept (JOAC), are jargon-based doctrines (and man are they swimming in it), designed to enhance cooperation between services and branches in order to overcome area denial and anti-access challenges, kick down the door and start dealing punishment upon the enemy. I’ve written previously about the problems with these concepts. In maritime scenarios which are likely to involve complex factors of nationalism, global economics and the possibility of protracted conflict if handled poorly, an all-out war-winning strategy becomes incredibly counterproductive compared with a more calibrated approach. Explosions on July 5th in the Syrian port city of Latakia may have been a shipment of Russian-made Yakhont anti-ship cruise missiles, allegedly destroyed by a cruise missile launched from an Israeli Dolphin-class submarine. Japan is catching flak for criticising China’s defence buildup and strident unilateral behaviour in ongoing island territorial disputes in this year’s defence white paper. The Defense News article does a good job of examining all sides of the issue. For the Chinese (and the South Koreans, who also have an island in dispute with Japan), this comes across as advancing the militant nationalist agenda of the Abe government. To the Americans, it is a signal that Japan may be willing to increase its investment in its own defence, a sore point for the Americans who are essentially spending $80 billion a year providing defence to Japan. 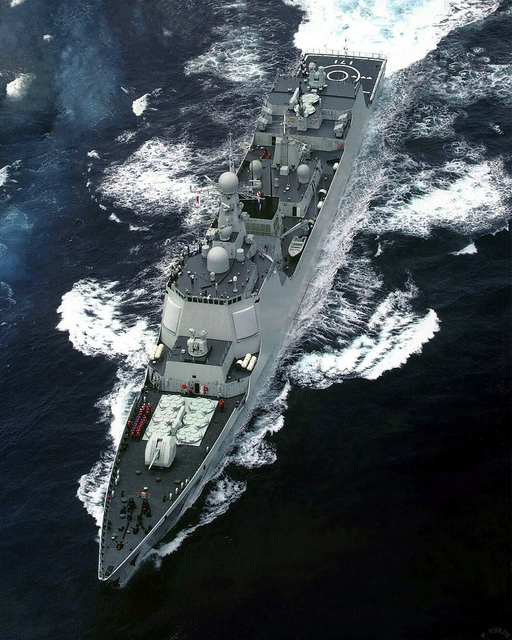 An objective observer might note, however, that the Japanese are acknowledging a real problem in calling out China’s unilateral actions and violations of Japanese territorial waters and airspace (hundreds of instances every year). One might also note that the Americans are unlikely to get what they want. Japan seems to have no plans to expand its military forces in any meaningful way. 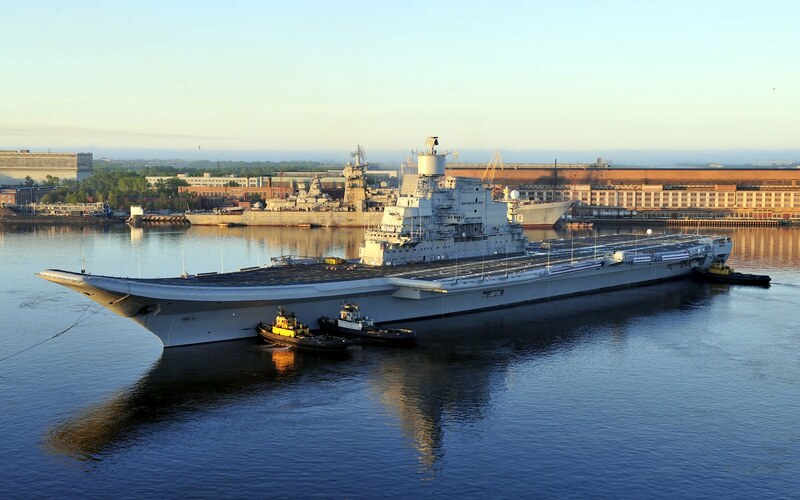 It has fallen behind China in production of naval air defence ships, new combat aircraft acquisitions and now carriers as well, and there are no plans to redress the balance. Panama has impounded a North Korean freighter found to be carrying two MiG-21s, assorted spare parts and a number of obsolete surface-to-air missile systems from Cuba, concealed under bags of sugar. Defense News presents a history of North Korean sanction-busting. Frankly, if MiG-21’s and SA-2s are all it’s got them, let them have it. The CSIS think tank published its annual in-depth analysis of the US defense budget. The Washington Post published a very interesting interview discussing the direction of China’s economy. The bottom line is that even this quarter’s 7.5% growth was massively subsidised through government underwriting of unsustainable (and uneconomic) capital investments, and any attempt to change current policies in order to develop domestic consumption could trigger an economic crisis. How many countries these days have 1000 armoured vehicles to put into a single exercise? Russia does, and it has. President Vladimir Putin ordered a surprise exercise in the Eastern Military District, commencing on the 13th and running until the 20th. This is an all-arms exercise on a scale not seen since the collapse of the Soviet Union, involving the Russian Pacific Fleet, the Air Force and the Army, all on a massive scale. Sources quote upwards of 100,000 personnel, 500-1000 tanks and armoured vehicles and 130 aircraft. Naval components of the exercise include mine-hunting and anti-submarine warfare drills directed against conventionally-powered submarines, while the air force is flying top cover to maritime operations. The land component is primarily important as a mobilisation and logistical exercise. The big question which intelligence agencies will be examining is how the forces are being deployed. Historically, the main purpose of Siberia-based land forces was to keep China in check following the Sino-Soviet split. Whereas Soviet military doctrine in the West strictly adhered to the principles of a strategic offensive, a different approach was taken with China, relying on layered defences and fortified areas. The question now is what the present tactics and deployments of ground forces will indicate. Will there be a southern or an eastward orientation? Will the tactics me based upon manoeuvre warfare or defence-in-depth? As there is reportedly an aggressor training component to this exercise, nations interested in answering those questions will have ample opportunity to do so. Why this exercise? Why now, and why in the east? Logical answers may be few and far between. As with any military involvement, this sort of sabre rattling buys Putin a certain amount of political capital and is a convenient distraction from domestic political problems, of which he has more than enough. Geostrategically, the exercise is somewhat puzzling. While Russia has historically harboured suspicions of Chinese strategic intentions, that relationship is now quite friendly, and the thought of hostilities between the two de facto allies seems absurd. But who else is there? Russia’s dispute with Japan over the Kuril islands has not impaired friendly relations. Likewise, Russia does not need to care about North Korea. The Russian Pacific Fleet is far removed from the disputes of the South and East China Seas, and from the trade route choke point of the Malacca Strait. In short, this is the exercise of a useless muscle. Still, it is less useless than Russia’s forces in the west, which guard against the evil Western imperialists- and could probably stroll right through to the Bay of Biscay at this point if they really wanted to, given the state of European land forces and Russia’s vast armoured superiority. If Moscow wants to call attention to its military strength and geopolitical importance with a large exercise, the East is certainly the less silly option. This could also be a reaction to the US “eastward pivot,” reminding everyone that Russia too has a Pacific Fleet and providing China with some semblance of the multipolarity it prefers. 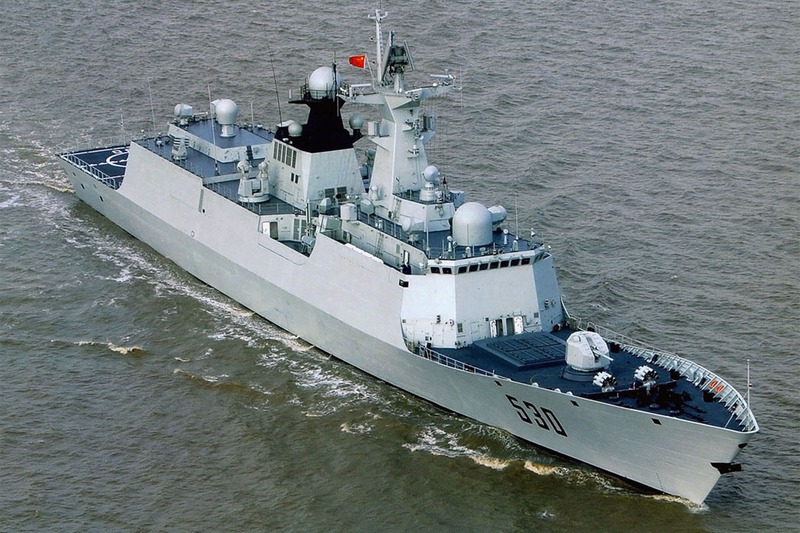 Considering that Russia and China have just concluded joint naval exercises, however, the timing seems odd.